For more than a decade, the Mathnasium Method™ has transformed the way kids understand and appreciate math. Larry Martinek, creator of the Mathnasium Method, has spent 40+ years designing, developing, and refining this approach based on his extensive experience teaching math to kids. We build math knowledge upon what they already know—this helps kids learn and starts boosting confidence right away. All Mathnasium students start by taking a customized assessment which pinpoints their learning needs. We meet them where they are and take them where they need to go. Mathnasium’s unique assessment process determines (with great accuracy) exactly what each child knows and what they need to learn. Our assessment reveals each specific skill area that needs to be mastered so kids aren’t wasting time reviewing concepts they already know. Assessments continue throughout your student’s Mathnasium instruction. These assessments are regularly given to ensure progress and that your child retains the skills they’ve learned. We then design a customized learning plan for teaching the concepts the student needs to master. 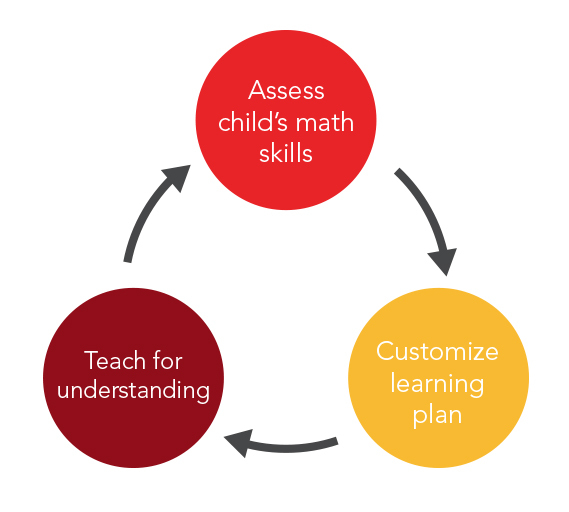 The learning plan identifies the math concepts needed to meet the specific learning goals for your child. We use a combination of proprietary materials and instruction techniques to ensure your child masters these concepts. Mathnasium’s specially trained instructors implement the learning plan and work with each student to ensure they master the material. We want to be there when the learning happens—all teaching takes place during the Mathnasium session, and we don’t assign homework. 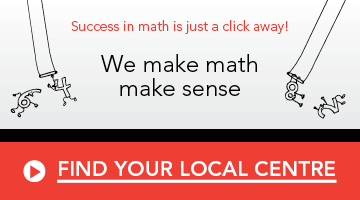 Our math tutors foster a caring, encouraging environment that helps kids thrive and learn! All instructors are required to pass a rigorous math screening that tests mathematical thinking, familiarity with our approach, and their ability to translate complex concepts in a relatable way for kids. The results are transformative—families will see measurable changes in attitude, confidence, and school progress.